Is it true that it’s impossible for braces to cause any cracks to your teeth? If there are hairline cracks on your teeth, will braces cause the cracks to get worse? Orthodontic treatment with braces do not cause cracks to your teeth. Vertical cracks can show up over time due to chewing hard foods. Almost every adult will have vertical cracks in their enamel as they get older. We can create over 200 lbs per square inch of biting force pressure when we chew hard foods. If you already have a crack in your tooth, chewing food can cause the crack to get worse. Braces create light forces which are measured in ounces. If you have pain when chewing, it could be from a vertical crack opening up exposing the sensitive dentin. This is called Vertical Cracked Tooth Syndrome. If you suspect that you have a cracked tooth, see your family dentist for an evaluation. I’ve had braces for about a year now and just recently I was told that wearing black or silver rubber bands on my braces would speed up my brace process. Is this true? I believe you are talking about the elastic ties that holds the wire into the bracket and comes in different colors. If you have a lot of rotated teeth, using elastic ties that are black or silver will keep the wire deflected into the bracket slot longer therefore allowing the tooth to rotate better. Some company’s elastic ties are weaker and do fall apart over time. With my elastic ties, I have observed that the transparent green and pink are weak. Black and silver do seem to hold up better. Once your teeth are rotated into proper position, it doesn’t matter what color you use. That’s a very good question. Thanks for asking. I am heading off to college in the fall and was told my braces would be off by then. However, my doctor said I still need a few more months. I will be on the other side of the country for classes and was hoping that I could get them off before I leave. Is that possible? I wouldn’t object to clear braces or something of that nature, but wouldn’t want to continue wearing my braces now. Please tell me what my options are. Many students go off to college while still in treatment. Here are a couple of ideas about your situation. 1) Have a different local Orthdontist continue your treatment while at school. The American Association of Orthodontists have a directory of specialists that can continue your treatment. Ask your Orthodontist, currently treating you, for a referral. The new orthodontist could finish your treatment while at school. Your home town orthodontist and the new orthodontist will need to coordinate the treatment plan. This is done very often. 2) Have the braces removed and continue with the clear removable braces. This is a possible option but will cost you extra money. 3) Finally, just continue with your present orthodontist and see them on the holidays. This spreads out your treatment time but decreases the possible extra cost. Discuss your concerns the next time you see your orthodontist. This happens often and plans are made on an individual circumstances. I have clear plastic retainers. my dog chewed up the top layer, but only for the teeth in the back. Can i still use that without paying for half of a retainer? When a dog chews on a retainer, it will become distorted. In some rare cases, a conventional hawley retainer wire can be fixed and the plastic can be repaired. With a clear plastic retainer, it is beyond repair. Talk to your orthodontist soon. If you can wear the damaged retainer and it doesn’t feel like it is pushing on your teeth, then do so. Dogs are really quick at destroying a retainer. When you store the retainer, place it in your retainer case and up high so the dog can’t get to it. Retainers smell good to a dog because of the saliva. I’d say you need a new retainer. A about a month ago I got braces for my top row of teeth. I only had a band on the molar on my right side, but it fell out twice so my dentist [my dentist said she was able to give me braces] just removed the band completely. Will my braces still be effective? I have bands on my molars on the bottom row, but the little hook on it fell off on my left side today, and I think I will have to get a new band before I get my bottom row. Also, when I got my top row done, I didn’t feel any pain at all. I’ve been forewarned by many websites and many friends that braces will hurt, but I didn’t feel any pressure or any pain, and now it’s been a month and I will get my bottom row. Are my braces still working? I also got spacers between my molars before my braces, does that have something to do with it? Sometimes braces are placed over a series of steps. Some orthodontists will place brackets first, then the wires later and bands placed even yet on the molars at another appointment. Or the upper is started first, then the lower. I like to get the process started and I place upper and lower brackets with the wire all in one appointment. That way, the patient can get over the initial discomfort of braces. The brackets are not smooth to the lips and it takes awhile for the inside of the lips to callous. After braces are placed, your teeth will be sore when chewing food or biting down for about 3 to 4 days. It is not a sharp pain, just a dull ache. Then after each adjustment, depending on what is being done, your teeth can be sore for 3-4 days. Remember, teeth move best with light forces not heavy. There are non-stainless steel wires made of different metals that are very good at creating light forces and move the teeth with less pain. The hooks on the bands are mainly used for elastics and other attachments. Your braces work when a wire is deformed and placed into the slot of the bracket to move a malpositioned tooth. Once the tooth is in position, less force is placed on the tooth and there is less pain. If your upper teeth are fairly straight, then there will be less pressure and maybe no pain. I just had my last appointment before I get my braces off in 2 1/2 weeks. I got power chains put on as well as ties. I was wearing an elastic only on my right side from my upper right 3 to lower right 5. I’ve been wearing the elastic for about a year and a half. On my appointment my orthodontist said to stop the elastic, but I was worried about this with my midline getting thrown off. I haven’t wore the elastic in 3 days and like I feared, it looks like my midline is off by maybe a centimeter or more. Is this okay to happen? Even though she told me to stop, right when I noticed it I put my elastic on again and refuse to take it off. I understand your concern. Relapse is the hardest thing about orthodontic treatment. Relapse is the movement that occurs after braces are removed. Natural forces come into play. The teeth will settle into a position based on muscle pressure, size of teeth, size of jaw, shapes of the teeth, and tongue pressure. Also, more stability is created by going through retention. When you have your braces removed, you are half way completed with treatment. Midline shifts are typically done with elastics. Sometimes the midline will shift after the elastics are stopped or braces are removed. Most of the time it is the lower midline that shifts, not the upper. In your situation, call your orthodontist and get guidance. Then do as they instruct. I have had braces since February and am due to get them off within the next month or so (I have the “6 month braces”). This SHOULD be a very exciting time but my midline is VERY off relative to my nose. The midline is off about 5mm to the right of my nose and is very noticeable especially in pictures. I have grown very self conscious about it and have expressed this to my orthodontist but she told me she doesn’t think that she can move my teeth anymore because there is no more room on the left side. Do I have any options besides extraction? Is it possible to have parts of a tooth on the left side of my mouth shaved off (to make it less wide) so that there is room for the teeth to be shifted? Other information would be needed to completely evaluate your dental situation. I have reviewed your picture. I don’t think interproximal enamel reduction would shift the midline enough to your left to get a satisfied result. An extraction on the upper left is a possible viable option. The other option, I can think of, is orthognathic surgery. An oral surgeon performing surgery on the upper jaw would correct the midline. Hello,what’s been bothering me is that my orthodontist gave me the rubber bands for braces but never give me the hook to hook on the rubber bands which causes me to use my hands. After a few understanding from my friends also with braces their orthodontist all gave them the hook. So I was wondering if the hooks are compulsory if yes why I didn’t receive it ….? What you are asking about is a rubber band aid. A rubber band aid is a small plastic hook that helps get your elastics onto your braces. You don’t have to have one to place your rubber bands. Let me tell you the way to place a rubber band. The easiest way to place your rubber bands is to place the elastic on the back molar hook first. Then place your index finger in the middle of the rubber band. Stretch your elastic to the anterior hook. Place your fingernail on the hook and let the elastic roll off your finger. Tada, it’s on! Most patients, after a while, can place their rubber bands quickly and without looking. It’s not that hard and an aid is not needed. You are usually given a bag of rubber bands and new ones are used everyday. If you need an rubber band aid, ask your orthodontist for one. They should have them. I have had my braces on for almost 5 years now. My orthodontist said i would get them off in the summer but the summer is over! He has been having me wear my rubber bands in a square shape (ex. lateral incision 2 hooks on to the tooth below that and then all the way to the back on each side forming a square). i really want to speed up the process but it seems like nothing is working! i wear them all day everyday! I can sense your frustration. I don’t know your situation. But I can say that sometimes orthodontic treatment takes longer due to the type of growth you are going through. If there are asymmetries that are slowly developing, treatment can take much longer. I have had cases that have gone many years due to growth problems. I’d ask your orthodontist about the remaining goals he wants to accomplish, your options and you both can decide if the extra time is worth it. It sounds like you are doing the best with your elastics. Keep up the good work. I am an adult. I began orthodontic treatment 3 weeks ago. The molar band on one side reaches under the gum line where on the other side the tooth is exposed partially . Where the tooth is exposed my tooth is sensitive. If I touch it with my fingernail it hurts. I brush, floss and use a water pick regularly. Is this normal for the top of the molar to be sensitive like this? Here are some of my thoughts. Your tooth should not be sensitive. That is not normal. Sometimes a tooth is sensitive for a short period of time due to it being moved. Give it some time to calm down. 1. There is a cavity. Have your orthodontist or family dentist check it. 2. You have had tooth brush abrasion before the band was placed. Toothbrush abrasion causes a tooth to be sensitive by brushing too hard. Lay a small amount of Sensodyne toothpaste daily in that area. After one month, the sensitivity should be less. 3. Adhesive around the molar band is irritating your gums. Have that checked by your orthodontist. 4. Your tooth is hypererupted. If the braces move a tooth into a position where it is in hyperocclusion, trauma from that occlusion will cause the tooth to become sore and mobile. Have your orthodontist check it. I hope that helps. Thanks for the question. I have had my braces on since I was about 20. I havent seen my Dr since March and I wanna go back and see him but I’m scared because he might not see me again to finish my treatment up. I haven’t seen him because of financial issues so how do I approach this situation? Due to the economic environment, some patients have a hard time affording treatment after they have started treatment. If you have not received a letter stating that they have discontinued treatment, you are still apart of their orthodontic practice. Treatment can be discontinued by you or the doctor at anytime. With the doctor, it has to be done in writing. Call them. Talk to the person that takes care of the accounts to make arrangements. If you can’t come to an agreement, you could ask to have the braces removed by them. However, I believe that arrangements can be made. If not, they will refer you to another orthodontist to continue treatment or remove the braces. Each orthodontist handles this situation differently. I hope this helps. You need regular checkup visits with the braces. I get my braces off in 15 days and I’m VERY excited and I was wondering how long would I have to wear my retainer for? And also, my front teeth have a slight triangle between them and I waned to know would that stay there after I get my braces off? It is an exciting time to get your braces removed!!! Yay!!! Every orthodontist has their own ideas about retention. The retention phase of treatment is very important because the teeth try to move back to their original positions. I have my patients wear retainers for a long time, years. Wearing retainers for long periods of time will not hurt your teeth. Many factors are involved into how long a patient should wear retainers. Make sure you do as you’re instructed to do for best results. Your second question is something that I will write about in the future. I believe you are talking about a small space between your incisors below the contact point. In other words, the incisors are together yet there is still a small space. Teeth come in different shapes. Some teeth are wider at the bottom and some teeth have parallel sides. When you place a tooth that is really wide at the incisal edge together, there will be a small triangle of space. The sides of these incisors are not parallel to each other. What I do to eliminate the space, if possible, is by reshaping the sides of the incisors so I can place them closer together. Sometimes this can reduce the triangle space or eliminate it. This is called interproximal reduction. Many orthodontists use interproximal reduction to keep teeth from moving or create space or eliminate space between incisors as in your case. Interproximal reduction can be done while the braces are in place or during retention. I’m happy you’re getting your braces off. Congrats. Make sure you smile a lot. Hi there, I was wondering if you could help me. Having had a lot of dental work as a child and teenager, which has left me with an unattractive smile, at the age of 26 i have decided to do something about it. 1. Have all of your 3rd molars removed. The upper 3rd molars have erupted and they will just cause you problems long term. 2. Even though you didn’t have a photo with your posterior teeth together, it looks like you have a severe deep bite. A deep bite is where the upper and lower anterior teeth overlap a lot when your back teeth are together in occlusion. This should be corrected. You should be able to see 80% of your lower incisors when you’re in occlusion. If not, you have a deep bite. Also, the tops of your teeth are not in a flat plane from front to back. Your occlusal plane rolls up and down. To create a nice smile line, this occlusal plane needs to be flat. Therefore, your upper lateral incisors and upper cuspids need to be extruded downward and your upper central incisors need to be intruded upward. With the lower teeth, the incisors need to be intruded and the molars extruded. To accomplish this, braces are required for a period of two years. During the movement of the teeth, your orthodontist can evaluate the size of the crowns that are already in place and possibly ask your dentist to reshape or reduce the size of some if needed. This will help with alignment and esthetics. To answer your question specifically, to move the molars, you use standard braces on the anterior teeth as an anchor unit for extrusion or intrusion of the molars. Once the orthodontics is completed and the teeth are in a better position, crowns and bridge work can begin. That would be the best sequence for the best results. You would have a much better smile at the end of the process. It takes a long time and it is worth it. I hope this helps. Braces can be ordered by your orthodontist with hooks or without. If a hook is needed, a hook can be soldered on the wire. Also there is another way of adding a hook, called a kobayashi tie, which is wrapped around the bracket. So if your braces do not have hooks, they can be added. I found your website while doing a google search. Basically my question is, at the end of treatment are the lateral incisors meant to slant/sit slightly diagonal a bit like this / / (when looking at the left side of the mouth)? I have attached a photo of my teeth on the left side to try and give a better example of what I mean. In the photo my upper left lateral incisor looks slanted / / to me and I am wondering if this is how the lateral incisors are meant to be? On my right side my upper lateral incisor is not and sits more like this | |. I have also attached a photo of my right side. Lateral incisors are to be slightly slanted however esthetics are important too. There is a range of an acceptable angle that the laterals can be slanted. The degree of the slant varies based on the shape of the tooth and esthetics for that person. For example, we have to consider the incisal edge of the incisors and make sure that they are flat with the occlusal plane. In this area of orthodontics that we are discussing, it is the artistic side of tooth placement. Ideally, both laterals should match in position when looking straight on. If you don’t like they way they look, ask your orthodontist to make adjustments until you are satisfied. Again, the proper position for the laterals is that the roots slightly diverge from each other. That is another way of saying it. I hope this information is helpful. I think your bite is coming along well. thanx alot for the beneficial website..
am doing dentistry and i need ur help in explaining Bolton Analysis please. i know that it’s used to calculate the ratio between maxillary and mandibular tooth material and if its less or more than a certain percentage some problems will occur .. but what about if there is unilateral tooth loss ? or bilateral tooth loss in maxilla or mandible ? how could Bolton analysis be beneficial on such cases ? can we depend on it ? and what if the overall ratio shows that there is an excess in mandible and the anterior ratio shows that there is an excess in anterior maxillary region would that means that i have excess in posterior mandible as well as anterior maxilla ? if there is any recommended text books or articles to be read please tell me. As you probably know, Dr. Wayne Bolton in a 1958 publication introduced two indices from studing 55 cases. The Anterior Bolton Index (ABI) measures the mesial-distal width of the six anterior teeth and the Overall Bolton Index (OBI) measures the mesial-distal widths from 1st molar to 1st molar. It is still regarded as a good measurement to determine tooth size discrepancies and even some computer programs allow digital measurement of the ABI and OBI. With unilateral or bilateral tooth loss, calculation of the OBI and ABI will have to be estimated. As far as determining what to do with a Bolton Analysis? The analysis is just one tool of many for determining treatment. I believe that Anterior-Posterior position of the maxilla and mandible and their relationship to each other are much more important in forming a treatment plan. The Bolton Analysis can give you an idea of where to look for the offending tooth that is too wide. I basically do a visual evaluation of the dental casts to look for abnormal mesial-distal width or abnormal tooth morphology. I have seen a lot of variation with maxillary and mandibular lateral incisor width and sometimes the mandibular premolars. As far as the Bolton analysis dictating orthodontic treatment on a day to day basis, it does not. Again it is just one diagnostic tool. If a tooth has an abnormal mesial-distal width, interproximal reduction to get to a normal tooth contour can be done during treatment or during retention. If the maxillary lateral incisors are pegged, the laterals may need restoration to create proper mesial-distal width. I also believe the OBI is more important than ABI. I hope this helps. I was wondering about the Pros & Cons of having a permanent retainer. At the moment I am wearing a clear retainer but previously when I took my braces off, they weren’t completely straight and so the retainer wasn’t either. After noticing this my Orthodontist told me he could make a new retainer which would fix my top teeth because they were a little crooked, and told me to wear this during the day & at night time. But during the day I get figity with my retainer because it really annoys me (unlike when I’m sleeping) and this has caused my retainer to get loose and stop preventing my teeth from moving again. I feel really bad now because these plastic retainers are costing so much. When I got my retainer made that moved my teeth in it was $400 for both. So I’m starting to wish I never got braces, it seems like an ongoing process that I’ll have to go through my whole life, and waste countless amount of money. What do you think I should do? Should I get a permanent retainer? I’ve heard that they need extra attention in order to stay clean. I just want something that wont get loose, and will actually keep my teeth straight. I also get sick of having to go to the girls bathroom to remove my retainer before & after I have lunch. This is my opinion. Once the conventional hawley retainer has your teeth in a better position, discuss with your orthodontist about a fixed permanent retainer. Although, I believe if we can get the natural forces to keep your teeth in proper position without a fixed retainer or any retainer, that would be best. Remember, when you remove braces, you are half way through treatment. The retention phase is even more important because we are now allowing natural forces come into play. We want the teeth to settle into proper positions and slowly wean you off of the retainers. This sometimes can be a difficult and time consuming task. The pros of a fixed retainer is that it is comfortable and you don’t have to take it in and out. Some patients wear a fixed retainer for years. The cons of a fixed retainer is that you have to floss that area differently with a floss threader and it will need to be replaced or repaired on an occasional basis. The adhesive will wear slowly due to normal chewing of food and the wire will come loose. Tell your orthodontist your concerns and they will guide you onto the proper path. I found your website and I have a question about my permanent retainer that got put in yesterday. I got braces when I was 14 for a year. When they came out, I went years wearing my retainer on and off until I lost my bottom retainer. One tooth had moved a lot, so I went back to my orthodontist and he put braces on my bottom teeth again (I’m now 23) and left them on to straighten them for a couple of months. He took them off yesterday because I am moving to a different state in a couple of days and figured that my teeth were close enough to perfect. I agreed and the small bit the tooth could move is barely noticeable to anyone but me. But since I have a permanent retainer now, could I still choose to get it taken off later if this small crooked tooth starts to bother me? Can a couple of retainers move the teeth the rest of the way without getting braces a THIRD time? It’s off in the smallest way, it’s just something I’m worried about. When a tooth needs just a little movement, I use a conventional hawley retainer with a finger spring. I use them all the time for minor tooth movement. A finger spring is a nick name for a small wire that comes out of the plastic of the retainer to push the tooth back into place. Therefore, once you are settled with your move, you would have your fixed retainer removed and then they would make a mandibular hawley retainer with a finger spring to move that tooth. I am assuming that the tooth has moved a certain way, towards your tongue. I hope this helps. I was wondering if you knew how long it took for a gap to come together because I got my braces 4 months ago & It still hasn’t came together. The average amount of space closure for moving a tooth bodily is 1 millimeter per month. Now, to get ready to move the tooth, can take time. We have to have the right size wire in place before starting the space closure. And there may be some other items that need to be done first before space closure is started. If the space is between your upper central incisors, the maxillary frenum may be keeping the space from closing. In those cases, the gum tissue is removed via a frenectomy. After this procedure, the gap usually closes with braces. Hi Dr. Joseph I have had braces for about a week now and I have noticed that my bottom teeth have all shifted more to the left still straight the teeth haven’t shifted in anyway crooked or to the side just I noticed that the bottom didn’t match up to how my upper teeth were aligned so I was wondering if that was normal? This is normal. In the very first part of treatment, there are a lot of tooth movements occuring. During this time, the orthodontist is rotating teeth, uprighting teeth, aligning roots, and leveling the occlusal plane. In the latter part of treatment, your orthodontist will use elastics and bends in the arch wires to make the upper and lower teeth occlude properly, to obtain a proper occlusion. I just got my braces off about eight weeks ago and I have a plastic retainer that I wear only at night. My retainer got thrown away and im not going to be able to get a new one for another two weeks. I was wondering if my teeth would shift within these two weeks? And if so what should I do? First, your teeth have a smaller chance of moving since it has been two months since your braces have been removed. Teeth try to move the most, right after braces are removed. If your teeth move, a retainer can be made to move them back into place. I would not worry about the two week wait. Thanks Dr. Joseph for providing this free service and uncovering the mystery behind braces. I’m an adult wearing braces and although I understand why a bite plate is necessary, I can’t seem to find the type of plate I’m wearing anywhere. To me it seems the design is poorly thought out because the design makes it very difficult to eat. Since the design is so difficult to eat with, it has me thinking there must be a hidden purpose for it and I wonder if you could enlighten me on perhaps why it is this way? Would it not make sense to just use a single arch that snakes behind the teeth, rather than this bisecting T pattern that catches everything I eat? I have reviewed your picture. The device you are wearing looks like a removable transpalatal bar or arch. Depending on how the wire is bent, a transpalatal bar can be used to rotate the 1st molars, to increase the width between the molars and in some cases move the molars distal (toward the back of the mouth). I have not seen a transpalatal bar like this. There are many attachments that can be added to any fixed or removable appliance depending on the goals needed by the orthodontist. When we add acrylic to any fixed palate appliance, keeping it clean is very hard. I’d recommend Oral-B Glide Threader Floss to get underneath the acrylic. It has a floss threader attached to a thick piece of floss followed by a regular floss all in one string. Search for transpalatal bar images and you will see some variations. feel its movment. Is it normal? When teeth are moved they become loose. This is normal. The periodontal ligament, the gum tissue around the root of the tooth, widens when pressure is placed on the tooth. Osteoblasts lay down new bone on one side and osteoclasts remove bone on the other side therefore allowing the tooth to move. 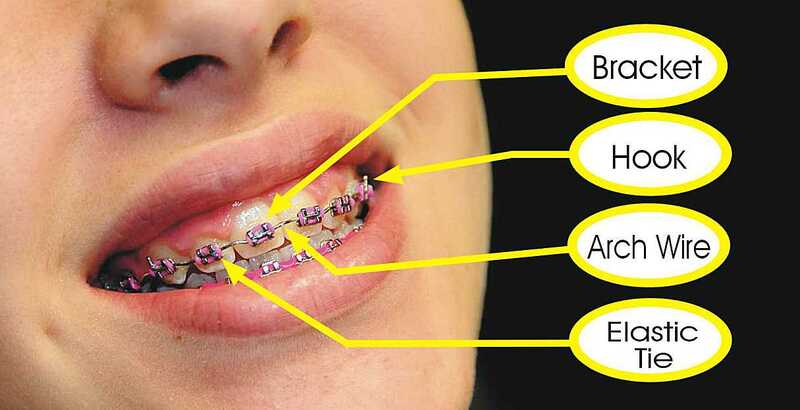 Read my article about How Do Braces Work? The PDL will stay wide until the braces are removed. So most patients notice that their teeth are slightly mobile when the wire is not in place or when the braces are removed. That is why retainers are needed right after braces are removed. So it is very important to wear your retainers as instructed. I was sixteen when I got my braces off and my Orthodontist gave me the clear plastic retainers. I automatically assumed that the wire ones that I had seen in movies were outdated and no one used them anymore. He gave me two sets of the retainers and the first broke and I accidentally threw it away without asking him about it. I am on my second, and last, retainer, and there is a hole wearing in it as well as a crack in the back. Since I just got some cavities filled, the retainer hasn’t been fitting too well and my Orthodontist said that he would replace them if that happened, however I am worried that the clear plastic retainers might not be what is best for my teeth. My teeth weren’t perfectly straight after the braces were removed, not really that noticeable when someone is looking at them but I can see it and feel it, also my teeth seemed to push so much against the plastic retainer that when I switched to the second pair it was almost too tight to wear. I have been researching a lot into this so I could get more information on this before I go to my mom and ask her to take me back to the Orthodontist especially since the retainers were expensive and I would prefer not to cost my mom the two hundred dollars out of pocket in case he wont replace them for free, or if my teeth will just end up screwing up the retainers again. Also, I think I might grind my teeth, thus the hole. So, my question is; Would my Orthodontist replace the retainer for free or a reduced price and consider other retainer options, possibly ones that would help fix my teeth still not being completely straight? When braces are removed, you are half way done with treatment. You should have regular check ups with your orthodontist about how your teeth are settling and how the retainers are working. I follow my patients for years after braces are removed. Patients who grind their teeth will wear through the clear plastic retainers quickly. You probably need the standard Hawley retainers made for you. They are very durable and can withstand the grinding. The Hawley retainers can place pressure on the teeth that are trying to move and place them back into proper position. Every orthodontist handles this situation differently. Some charge and some don’t. You do need to get back with your orthodontist now so that the teeth will not move too far. Ask your orthodontist about their policy in this situation. I wish you well. Thanks for the questions. My upper left central is missing, is it possible to close this gap(5 to 6mm) through braces. When an upper central incisor is missing, we do not close the gap with braces. If we did, the gap would not stay closed, the midline/symmetry would be way off and esthetics would be incorrect. In your case, with braces, we would create the proper space for the missing tooth, create a proper occlusion and place the occlusal midline with the facial midline. When braces are removed, we would make a maxillary hawley retainer with a pontic (false tooth) that you would wear until a more permanent solution was performed. I hope this helps. Thanks for the question. Is it a problem if my last bracket is still attached but the wire doesnt go through it? 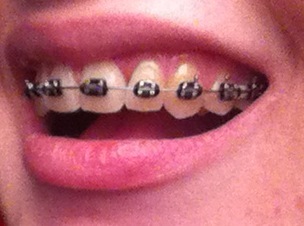 the wire is pretty short so its not cutting me, and i just got my braces today. Did it come out by accident or do othodontists sometimes do that? Usually the wire should go through the buccal tube of the last molar bracket. That is normal. However, with the very first wire, after braces placed, some orthodontists do not include the molar bracket due to a variety of reasons. Chances are your orthodontist wants the wire to be short. Call your orthodontist and ask them if it is ok.
All my gaps have closed, but the teeth next to the 2 front teeth are still apart. Most orthodontists place braces from 2nd molar to 2nd molar. Some orthodontist place braces from 1st molar to 1st molar. There are times when a bracket is not needed, due to treatment needs. For example, if there is crowding, I don’t place a bracket on the tooth until enough space is created. In your circumstance, it depends on how your orthodontist is moving your teeth whether a bracket is needed. If a bonded bracket continues to come off, I place a band on the tooth. A band is more durable and doesn’t come off as easy. You need to discuss this further with your orthodontist and maybe get a better answer. I’ve had my braces on for three weeks now and I have my first appointment next week. I had slight crowding and the orthodontist is conducting interproximal reduction instead of extraction. I just wanted to know why she hasn’t started it already (before the braces were put on)? and when do you think she will start? Next week maybe? I don’t think my teeth will keep straightening unless some space is made! When I do interproximal reduction, I pick certain teeth that have a lot of enamel like the lower lateral incisors. I would guess that your orthodontist wants to rotate your teeth first before starting the reduction. Interproximal enamel reduction can be done at anytime, before, during or after braces. Also, space creation with braces is done in a variety of ways. We can expand the bone with the arch wire and auxillaries, like compressing an open coil spring. So interproximal reduction is not the only way space is created. I would just ask your orthodontist about when she is going to perform the reduction. And remember, don’t get anxious about the timing of procedures. It takes time and some procedures are required to be done first before others. So today, I was eating, and I noticed a sharp pain in one of my bottom teeth. I went and looked to see that my wire connecting my bottom left band and the bracket on the next tooth over was completely bent outward in a horizontal U-shape. I don’t remember if there was a bit of a bend on it previously or not, but it has never hurt. Now, it’s hurting, and whenever I try to bend the wire to it’s previous shape, all it does is move up or down. The wire did not completely come out, it just bent. What I was wondering is if there is anything that I can do to ease up on the pain for a little while? How urgent is this? I may not be able to see my orthodontist within one or two more days. Thanks! During the time that we are chewing on food, sometimes a wire will bend and cause the problem you are having. This is not urgent, however you need to call the office as soon as possible to schedule an appointment. The only thing I would recommend, you have already tried by moving the wire back into position. Some patients will clip the wire with wire cutters or fingernail clippers to releave the pain. It’s best to ask your orthodontist what to do before attempting to cut the wire. Is it true that if I have a ” tight bite ” as the dentist says, will they put my braces on top and bottom? Thank you for your time. I’m not familiar with the slang term “tight bite”. I can say that in rare cases, braces are only needed on one arch. Most of the time, upper and lower braces are needed to provide a proper occlusion. My top fixed retainer has come off. I was wondering if my teeth will move a lot in the space of 24 hours. If there was a space between your upper central incisors before treatment began, it is possible a space would start to open back up. This area between the upper central incisors is hard to keep closed on some patients. That is why we use a bonded lingual retainer to keep the space closed. In my opinion, it shouldn’t open up quickly. Give your orthodontist a call and see about getting into the office soon. A small space can be closed with finger pressure while the retainer is bonded back on. My orthodontist is trying to move my upper front teeth back but I don’t have enough space. So he wants to do either stripping or extraction (four bicuspid teeth) and he told me that he can’t get more space by stripping therefore extraction will be better but i don’t want to extract my healthy teeth. Plz help me. Any alternative way to create space? A problem, corrected often with braces, is the overbite, which is also called an excessive overjet. Orthodontists sometimes will start with a non-extraction approach, where Class II elastics are used and then leave the option open to remove teeth, if the overjet is not reduced. It’s a viable treatment plan that I use a lot. To answer your question, there is not an alternative way to create a lot of space besides extractions. Extractions for overjet reduction is done routinely in orthodontic treatment. We usually extract either the 1st premolar or 2nd premolar and it creates about 7mm of space per tooth. We then close that space a certain way to create a proper occlusion. You will not miss the teeth. I would advise that you talk with your orthodontist and follow their professional opinion. Right after braces are placed, the inside of your lips need to toughen up and get use to the braces. It only takes about a week for the buccal tissue to get past the new braces. During this time, use your wax in areas where it is sore. After this initial period, the only time your tissues can get sore, and an ulcer develop, is if you are hit in the mouth by accident or your wire starts to irritate your gum tissue. Trauma can cause an ulcer to form that doesn’t go away easily. I’ve had patients get hit in the mouth from baseballs, chearleading, to bowling balls. That’s right. I said bowling ball. LOL Some of these traumas need immediate attention. In mild trauma, the braces constantly rub the traumatized area and keeps it irritated. To get the ulcer to go away, we use soft wax and salt water rinses. If that doesn’t help, we will take some of the brackets off and wire until it heals. These sores can get rather large when left untreated or ignored. Routinely, very few sore spots form during treatment. The most common sore spot during braces is from wire irritation. These are easily corrected by using tissue sleaves, orthodontic lip guard covers or wax. So on the whole, if you think there is a sore developing, place your wax on your bracket in that area. If it doesn’t go way, tell your orthodontist about it at your next visit or see them sooner. One last area that needs to be covered. Sleeping on your face can push your lips into your braces and start an ulcer. It usually occurs on the inside of the lower lip. If you notice this starting, place wax in that area and try to sleep in a different position. Good question Bella, thanks for asking. I have been wearing braces for 1 year and 2 months, I had an appointment with my orthodontist today and I asked her if I was going to have to wear rubber bands and she first checked my teeth and told me that I wont have to wear rubber bands, so is that good will that accelerate my treatment, also when I turned a year of having braces I asked her when i was getting my braces off and she told me either spring or winter of next year how did she went from spring to winter thats a long time between these two dates. When estimating treatment time with full upper and lower braces, it takes about two years. Sometimes less, sometimes more. It is hard to estimate time with braces because the teeth will only move at a certain rate and we have criteria that has to be met for a proper occlusion. Whether rubber bands are used or not is not an indication as to when braces are going to be removed. Again, we are evaluating the position of the teeth and the occlusion. The other factor that comes into play is the growth of the child during treatment. Unusual adverse growth of the jaws can cause treatment time to be longer. This is an unknown factor and can’t be predicted. Finally, compliance issues can lengthen time with braces. If you chew gum or hard foods, or don’t wear elastics as required, or pick at your braces, that can cause longer treatment. Most patients become impatient. Hang in there. You’re almost done. Hey, I am a college student right now and I want to become an orthodontist. I was just wondering if you had any advise or insight that you could give me. How long did it take for you to graduate, and was it hard to find a job? What do you like most about your job? Make sure you read the article, How to Become an Orthodontist. To quickly answer your questions: 1. It takes eleven years of college to become an orthodontist 2. You are never unemployed. Orthodontists are self employed, small business owners. 3. I find a lot of satisfaction watching the children grow up and become more self confident in their appearance by having a good smile. My daughter is in the process of having braces applied, she is 11. She had the RPE for a while and has bottom braces on. She still has 4 baby teeth that the orthodontist wanted us to have extracted before the top braces were put on. We are in the military and now moving and can’t get an appt with an oral surgeon before we move. The orthodontist who previously stated that those teeth had to come out now wants to put the braces on even with them not out so they can be done before we move. It’s no problem to get an orthodontist when we move and have them do it after the teeth are extracted. This change in stance makes me wonder if she wants to put the braces on before we leave just for billing. Your thoughts. Every orthodontist calculates billing differently. Ask the office manager before the last visit about any amount owed to their office, or any refund from over-payment. You make new financial arrangements with your new orthodontist. Make sure that your new orthodontist can use the braces that are already placed. Every orthodontist does treatment slightly different. There are a variety of brackets on the market and not all orthodontists use the same bracket. The American Association of Orthodontists has a standard transfer form for patients who are moving from one orthodontist to another. People move all the time, especially military families. It allows the new orthodontist to understand what the treatment plan was and create a good continuity of care. I just received my herbst appliance as long as 4 brackets on the top and bottom teeth almost a month ago. Starting since two weeks ago, those circles that are apart to the appliance have been cutting the inside of my mouth. The front part of the herbst is what has been basically slicing cuts in my mouths and I don’t know what to do! Can I put the wax on the herbst from cutting deeper cuts and if so, am I allow to wear the wax while I’m sleeping? Place large amounts of wax on both areas. Contact your orthodontist and tell them what is going on. Keep the wax on those areas all the time, even while sleeping. These sores will not go away without something changing. They will only get worse. Try to sleep on your back. When you sleep on your face, you can push your lips into the appliance and start the sores. Also, use warm salt water rinses. I was at the movies eating popcorn then all of a sudden the wire in between the bottom second and third molar went droopy. It didnt come out of the bracket so i pushed it back through my last molar bracket (buckle tube?). Its straight and seems tight and normal now. Should i call my orthodontist? Does this ever happen? Eating popcorn is not a good idea when you have braces. It can cause wires to be bent and teeth to move incorrectly. Plus it is hard to get all the popcorn husks out of your gum tissue around your braces. These husks can cause the gum tissue to become inflamed. Is it bad to wear rubberbands on your teeth if you don’t have a gap? Lots of people wear them, just around the top. Also, if you do have a big gap, how do you get rid of it? Sorry if this stuff isn’t really for an Orthodontist. Hope you can help! Thanks so much! Your second question is about a big gap. Orthodontists close large gaps with braces and an elastic chain also called an elastomeric power chain. This elastic chain is an elastic tie that goes from tooth to tooth and applies pressure to the teeth. The teeth then slide alone the wire and the gap slowly closes. Once the gap is closed, it is kept closed for a long period of time because they tend to try to open back up. How long is too long to be in braces. Is wearing braces for a long time going to do any damage to my teeth or gums? There is no time limit on wearing braces. Due to many factors, some patients will wear braces past the normal two years. Some of the reasons for longer treatment times is a severe malocclusion, severe deep bites or unusual adverse growth of the jaws. The adverse growth is unpredictable. If you maintain good oral hygiene, there will be no damage to your teeth or gums from prolong orthodontic treatment. Help me! Bad-ish TMJ but I really want braces?! Will it make it worse? Please, please help me! Many people have Temporo-Mandibular Joint dysfunction/disorder (TMJD) and they seek their dentist or orthodontist for help. The prevalence of TMJD is between 5-12% of the population and most of the time it is due to clenching or grinding of the teeth (bruxism). Going through orthodontic treatment may help but is not a guarantee. If you are having a lot of discomfort around the area of the Temporomandibular Joint (TMJ), you need to consult with your dentist first. They may want to make a hard maxillary splint to help calm the muscles of the face down before considering orthodontic treatment. Remember, even people with a proper occlusion can have TMJ dysfunction. I’m curious if a single-cross bite is enough to affect the whole bite? I feel like my whole bite has shifted and I’m biting more on my left side than my right. I was told by a local orthodontist that this wasn’t enough to affect my bite. I’ve seen an oral surgeon and he says that my jaw is perfect and doesn’t need correction. I’ve also noticed that my right side of my upper lip droops lower than my left side. The bottom appears lip appears to be pretty symmetrical. This is really bothering me and I’d love to hear your thoughts. Thanks for taking the time to read my question! Anterior and posterior crossbites can affect the growth of the jaws. I try to correct all crossbites I see. Also, the upper lip support can be affected by an anterior crossbite. I’d get a second opinion from another orthodontist. I just want to know, which is the most appropriate time to start the treatment of class II malocclusion? Is it just the beginning of the prepubertal growth period, when it is at the peak or as soon as the first incisor develops in the mouth. This is a question from the NDEB part 2 and there are so many confusions about the correct answer. I’m not quite sure what answer the NDEB is looking for. I can tell you that modifying patient growth is best when the patient is going through rapid growth. Also, dental age does not coincide with chronological age. I’ve had patients who were 8 years old with a dental age of 12 and I have had 16 year olds with a dental age of 9. Correction of a Class II malocclusion should be done during active, rapid growth. Based on that information for your question, I’d say beginning treatment for Class II malocclusion should begin at the start of prepubertal growth. That’s 10-11 y/o for girls and 11-12 y/o for boys. Also, in my practice, I correct severe malocclusions much earlier than this. I hope you do well with the NDEB. Thanks for the question. In your opinion, without knowing all the details of course, does it look like this can be fixed without an extraction? btw – I’m a 30 year old male if that makes a difference. Just looking at the pictures, I would attempt a non-extraction approach. It will take some time to create enough space for both lower incisors, de-rotate the central incisor and then bring the lateral incisor forward. Highly possible. The treatment plan could change if the gum tissue was not tolerating the movements. A complete workup is also warranted for a good answer to your question. I have had my braces in for about a year now. And recently my orthodontist gave me this MI-Paste cause she noticed a small white dot by my bracket. I was just wondering if this paste will actually make the white spot go way or just make it smaller? MI Paste from GC America is a product that remineralizes the enamel rods. It is one of the best products for removing white spots. It is a cream, not a toothpaste, that is applied to the white spot for 3 to 5 minutes, twice a day. Please read my article, “How Do You Treat White Spots After Braces?” This product does require a prescription from your dentist. To answer your question, it should remove the white spot. The white spot came from heavy plaque staying around your braces. The plaque eats sugars that you eat and then gives off acid for 20 minutes. That acid demineralizes the enamel and becomes a weak white spot. Therefore, if you are applying MI Paste everyday, you have to start keeping your teeth very clean and free from plaque so that the paste can work. My braces are all right but the colour bit has slipped off. What should I do? It is true that some colored elastic ligature ties can become weak and can come off of the bracket between visits. There is a difference in elastic ties from one manufacture to another and between the different colors. Some colors are stronger. I have noticed that the more opaque colors last longer where the translucent colors do not. Elastic ties holds the wire into the slot of the bracket. If a lot of them come off, the wire can come out. This is very rare and can happen if the patient is not seen on a regular basis. To answer your question, when an elastic tie comes off of a bracket, it is not an emergency. Just wait until your next appointment and they will put new ones on. First, I want to thank you for your time to answer so many questions 🙂 Here is my question. My son has had braces for a year now. He said to me last night that his top front two teeth felt smooth on the bottom. I looked at his teeth and the top two front teeth have been ground down. I compared them to pics of when he first got his braces on and they are 1/8″ shorter at least! I am devastated and upset! My only thought is that his teeth have been hitting his lower brackets this whole time. Is this possible and his ortho missed it? And can anything be done to fix it? (I am doubtful) Thank you very much for your time. This is a very good question. When a tooth forms in the gum tissue, it develops from the incisal edge first to the apex. When about 1/3rd of the root forms, the tooth starts to erupt. In the beginning, with central and lateral incisors, three groups of ameloblasts and odontoblasts cells form the enamel and dentin. When these teeth erupt, the incisal edge usually has three bumps each on them called mamelons. Some patient’s mamelons are very prominent. The mamelons are very weak, thin and will wear off eventually. So in the adult, we do not see them. Sometimes an orthodontist will remove the mamelons during treatment so that he or she can lined up the incisors properly. I mention the mamelons because this may be the answer to your question. I routinely remove mamelons during treatment. In rare cases, due to weak enamel, or a patient bruxing, the incisal edge will wear down past the mamelons during orthodontic treatment. Again, it is rare. Normally, I do not see enamel wear from stainless steel braces placed on the mandibular teeth. On the other hand, ceramic braces on the lower teeth can wear the incisal edge of the upper incisors. For this reason, I do not place ceramic braces on lower teeth. If it is suspected that the wear is coming from the lower brackets, a variety of things can be done. The lower brackets could be moved toward the gum tissue out of the way of the upper incisors. A posterior bite block could be placed on the lower molars to open the bite. Also, certain orthodontic movements can get rid of a deep bite which will clear the upper incisal edges from the lower brackets. I’d ask your orthodontist about the changes you have noticed. I’ve had braces for a year now and I have broken the brackets off a few times and my dentists is refusing to put the bracket back on. Can they do that? Your dentist may not need a bracket on that tooth for treatment. The bands, that are cemented mainly on molars, are a lot more durable than bonded braces. Read my article on “What are Separators, Spacers and Orthodontic Bands?” to get an idea of how a band is used. I started my orthodontic treatment in Spain and have had my ‘elastic braces’ for a year. I was told that I would need the braces for 18 months and I have seen fairly good progress in that time. Since moving back to the UK recently, I have seen another Orthodontist to continue my treatment, who has informed me that I should remove these braces and opt for the self-litigating braces for a further 18 months at a rather large cost. Apparently they are more effective than my current braces. Despite the different methods, I am finding it hard to understand how two opinions could vary so much. Would you advise that I opt for the new method, or should I get a second opinion? Why would it really take a further 18 months for (I think) a fairly minor alignment? Any advice would be great, thanks! I would suggest you get a second opinion. There are orthodontists who like to work with a particular bracket system. In my practice, I decided to use a standard, very common bracket that is universal so that if a patient of mine transferred to another orthodontist, they could easily find an orthodontist that would continue treatment without removing their braces. There is very very little difference in tooth movement from one bracket system to the next. If you had three orthodontic consultations, you will get three different opinions on what to do. Find the person you are comfortable finishing your case and continue treatment with them. I had my braces removed Friday (Wore them for one year), when my braces were removed, the orthodontist shaved/filed down some of my tooth to smooth them out. Later that night, I looked in the mirror and noticed that one of my front lower teeth looked jagged/possibly chipped? This happened in the summer as well, my two front bottom teeth were shaved and two days later one of them chipped. Could this be caused because shaving my teeth has weakened them? I went back to the orthodontist today with my concerns, and they said they look great, and that the teeth was jagged because it is a canine teeth, but my other canine teeth on the other side of my mouth is perfectly smooth with no jagged edges or small pieces missing so I do not think that is right. I’m now going to a dentist for a second opinion, and hoping that they can just smooth my tooth out rather than bonding it, but of course I’m upset because I left the orthodontist office with a perfect smile friday and later that night noticed a chip in my tooth. When enamel is removed, it usually makes the tooth stronger because they have taken away the thin portion of the tooth that would have chipped off or worn off. Orthodontists and dentists perform enameloplasties often. It is routine. jagged edges of the rough cuspid to match the other side. I have a question. I just got my braces off 3 days ago after having them for 28 months. I was given a removable retainer on the top and a permanent one on the bottom that goes along the six front teeth. My orthodontist said I will have to wear my top removable retainer for four months straight day and night and then just at nights for the rest of my life. He also told me I will have to wear my bottom permanent retainer for the rest of my life as well. Is this right? Will I have to have both the removable and permanent retainer for the rest of my life? I read somewhere that they do, when the time is right, take your retainers off permanently. Thank you. When your braces are removed, you are half way done with treatment, in my humble opinion. Most patients think they are done. They are not. The retention phase of treatment is just as important as the braces. Your teeth will try to move into their old positions. If you do not wear your retainers, your teeth will move. During the retention phase, I try to wean my patients off of retainers so that natural forces can take over. Remember, your teeth will move if natural forces are not in harmony. Your lower fixed retainer will not allow natural forces to move your lower anterior teeth. Some patients wear a fixed retainer for years. That is ok if you keep the wires clean, floss properly and have regular check ups. Tooth movement can occur during retention for a variety of reasons, like rapid growth, alveolar bone not accommodating the size of your teeth, etc. The idea is to make adjustments to the retainers and the teeth to compensate for the natural forces trying to move your teeth until they become stable. With adults, this stability is harder to create. With growing children is it easier. I usually have my young patients wear their retainers until they are in their mid 20s or older. With adult patients, it depends on each individual case. Every orthodontist approaches retention differently. You should ask your orthodontist more about the retention phase of treatment and what is best for you. I got my braces off just under a year ago after having them on for around 2 and a half years. I wear my upper retainer very regularly but I don’t think my teeth ever straightened as much as I wanted them too. I’m not sure what to do about this. Sometimes teeth relapse is so much that braces are needed again. There are various reasons for relapse. If the relapse is not severe, a Hawley retainer with finger springs, which are extra wires, can move the teeth back into good positions. Interproximal enamel reduction is usually performed as well. So it depends on how far the teeth have moved whether braces are needed again. Talk with your orthodontist. Ask him what your options are and go from there. Hi there! I have an impacted canine on the upper right side of my mouth. I’ve had braces for nearly 6 months now and I was wondering is there anything that can be done to get that tooth to break through the gum? I just thinks it looks weird to have a canine on one side but not the other. Also, I just got power chains on all of my teeth and it’s really tight, so tight that my upper teeth are barely covering my lower teeth. It’s a space between my upper and lower teeth, and when I put on my elastics, it feels as if they are shifting my upper teeth back, so I took them off because it didn’t feel right. Is this how it’s supposed to be? And can anything be done about that tooth? Many times with an impacted cuspid, we have an oral surgeon uncover the crown of the tooth and place a bracket and chain on it, then close it back up. After it heals, we use the wire to put pressure on the chain and pull the cuspid into the mouth. It takes time. In your case, the cuspid may have been pointing in a good direction, and it just needed more room to erupt. You may not need the surgery. Ask your orthodontist if you need surgery. As far as your second question, when a power chain is used, sometimes it will upright your upper incisors and reduce your overjet. Your elastics are used to counteract that movement or to enhance it. It depends on what your orthodontist is needing. If you see your overjet turning into an underbite, you may be wearing your elastics incorrectly. Call your orthodontist and make sure you are wearing the elastics properly because there are a variety of ways that elastics can be worn. I had braces when I was 13. I am now 32. The results (and a combination of years gone by and probably not wearing retainers long enough) left me with excessive overjet. My family dentist and my orthodontist have conflicting suggestions on deciding which upper teeth to extract. I have all molars present, and only my last premolars left. My ortho is suggesting to remove the last premolars. My dentist is suggesting to remove a molar on each side because the molar next to the canine would look funny and too wide. Esthetics and how much space is needed is a factor. If the upper molars are removed, you gain about 10-12 mm per side of space. Whereas, premolars create 7mm of space. Also, the premolar space is closer to the front of the mouth which allows better reduction of your excessive overjet. Usually the premolars are removed but your situation could be different. I have seen all upper premolars removed and the esthetics looked good. Whoever is doing your treatment makes the decision on what teeth need to be removed. I just removed my braces and it seems like my teeth are not straight as I imagined..the lower teeth are still slanted to the left..my upper teeth still not straight and slightly forward.. my question is, is it normal if my teeth are not 100% straight after removing the braces?? There are certain criteria that needs to be met for a proper occlusion and then there are esthetic issues. They don’t go hand in hand. Sometimes it is difficult to get “100% straight” due to starting positions of teeth, size of bone, size/shape of teeth, etc. You need to talk to your orthodontist about your concerns. There may be a reason they were placed into those positions. It would have been better to ask those questions before braces were removed. Hi, I just got braces in September and I don’t know much about it, but when I went for a color change today they skipped two teeth to put the bands on. Is this normal? Or should I go back and ask? We usually don’t skip. We usually place the elastic ties on all the brackets. I’d give them a call and ask. I suffer from badly controlled asthma which means I cant tilt my head back at all without having trouble breathing and gagging. Is there any chance my braces can be fitted with me either laying on my side, or sitting up? I am getting metal braces on just my top row. I think treatment is possible. I have had patients with back problems that could not be laid back very far. The chair was tilted back a little and it works. We are able to place braces and perform our adjustments. I’d advise that you see your orthodontist and try sitting in their chair to see if there would be a problem before committing to treatment. I noticed once I got my braces my lips got a little bit bigger and stuck out more, this was great for me since I have small lips. But what I wanted to know is will my lips go back to their normal size after I get them off or will they stay this big? I have to wear braces for 2 1/2 years. Thanks for your time! When the braces are removed your lip will go back to its pre-braces position unless your upper teeth are moved forward. Your upper lip is supported by your upper teeth. If you have upper crowding or incisors tipped towards the tongue (lingual), as they are placed into position, the teeth usually come farther forward thus supporting the upper lip more. How long will I have braces on the bottom? My botttom teeth are completely aligned. I just have two gaps on each side of my front bottom teeth. They are like the size of the teeth (lateral insicors) that would be there (never grew in). I have had braces previously before but I am no longer interested in implants or bridges. I just want the gaps closed. How long would it take? Would it be less expensive than before? Thanks! It would take about a year or maybe longer. We have to move one tooth on each side at a time and slowly move the space towards the back of the mouth until it disappears. It would be very hard to do and have a good result. I would caution you that closing the space may not be a stable or viable option. Your spaces may open back up after your braces are removed the second time. I would say that the best treatment plan is to either have a bridge or implants placed at this time since your lower teeth are already aligned. You need to remember that your lower teeth support the upper anterior incisors. If by closing the lower space your lower incisors are farther away from the upper teeth at the end of treatment, the muscles of your upper lip may eventually collapse your upper incisors towards the back of your mouth. Not a good result. I would also advise that you maintain the spaces by wearing a lower removable retainer with two false teeth (pontics) until your family dentist restores those areas with a bridge or implants. Try this. Take your rubber band and attach it to one hook. Then twist the rubber band a couple of times so that the two strands become one. Then attach it to the other hook. Sometimes when you wrap the rubber band like this, it will stop the irritation. If it doesn’t get better, tell your orthodontist what is going on. They may have you stop wearing your rubber bands for a while until the tissue heals. Another thought, use wax on any part of the braces that is close to the irritation. My Ortho successfully fixed my underbite with just rubber bands 🙂 I’m on my 11th month of treatment. I started with Class III, then Box, and now back to Class III elastics but for only 12 hours. Should I wear them all the time if I can? Sometimes you can over correct an overbite or an underbite with elastics. Your orthodontist is probably wanting to maintain that position. That is why they want just 12 hours of wear. Do as your orthodontist instructs. Hi….I had braces about 2 months back..everything was normal but yesterday while playing some outdoor game I fell down and now my front two teeths are moving….. I’m so worried…is it curable? You need to see your family dentist and/or your orthodontist to evaluate your incisors. If the mobility is severe, X-rays (radiographs) may be needed to see if the root is fractured. Also, over time, the pulp, inside your tooth, could become non-vital requiring a root canal. I would advise that you do not use the mobile incisors for chewing food until you see your dentist for an evaluation. For example, don’t bite into a sandwich. Use your retainer to stabilize the teeth that are loose. You should be able to keep your teeth long term but they need tender care now. I wish you well. I had an appliance placed in my mouth on Wednesday and I’m not sure what it is. It is attached to a molar on either side of my mouth and there is a plastic patch on the top front of my palate which is connected to the molars by a wire. My orthodontist said it was to ensure my front teeth didn’t push backwards. Could you tell me what it is and if it is normal to uncontrollably gag every now and again due to it? What you are describing is a Nance arch. A Nance Arch is used for anchorage. It keeps the molars from moving forward as your side teeth are moved to the back of the mouth. Some people have a problem with them due to a hyper gag reflex. I got my brackets on and the first time 1 of them fell. the second time… 3 of them fell… and now i just got all three put on again…. 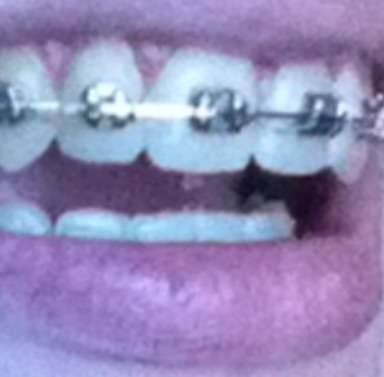 and the SAME day 2 of the same ones my orthodontist placed…. fell off! is it the orthodontists work that’s the problem? all i did was push them a little. Just like any food would push.-? maybe it’s my teeth? the ones that keep on falling are the ones in the very back. what should i do!? i hate going back there thinking it’s MY fault. i’m sure it isnt. this time it isn’t. all i did was practically touch them! It’s not your fault. Brackets sometimes come off due to the way your bite comes together or you have weak enamel. The bonded brackets do not attach to weak enamel well. Your orthodontist should start transitioning to bands. Bands are metal strips shaped to your molars that has a bracket soldered to the front surface. They can withstand a lot of chewing pressure and do not come off easily. Read my article about Separators, Spacers and Bands. First let me congratulate you for the Great job and advice on this site. I had Underbite Class 3 malocculsion, which was due to my tongue thrust. After wearing braces for about 3 years , the condition has come under control. Now i have fixed lingual retainer put on top 6 teeth before a week. Before retainer installation , i used to rest tip of the tongue on the ridge behind the upper front teeth. After the fixed retainer installation, when i place my tip of tongue , i could feel the retainer wire and when i wake up i could feel extreme pressure created by the tongue.Because i dont know what is the resting tongue postion. 1. Please guide me what is the correct tongue resting position. I am afraid that if i place constant pressure on the wire would it alter the upper arch? P.S- when i ask my ortho , he says to place the tongue against the lower jaw, which i think very strange and i live in a remote community and no access to myofacial technician or speech pathologist. 2.Do you recommend to wear removable retainer along with the fixed retainer. if yes , which do you recommend, Hawley or Essix ? My teeth are very weak and can go to the original place within hours. i am afraid what happens if i dont retain the lower molars. Please add some more points if you want to based on your valuable experience. Thank you very much for reading my question and answering it. A tongue thrust is an over retained infantile swallowing habit. Before the primary teeth erupt, the infant places their tongue between the gum pads when swallowing. This is normal. As the primary teeth erupt, the normal position of the tongue moves to right behind the upper anterior teeth on the rugae (ridges) of the hard palate during swallowing. Therefore the resting position of the tongue is right behind the upper incisors and not on them. A tongue thrust usually does not create a Class III malocclusion, in my humble opinion. It creates an anterior open bite because the patient still places the tongue too far forward and between the teeth when swallowing. So, a person with a tongue thrust has to retrain the tip of their tongue to push on the rugae when swallowing. The force of the tongue, when swallowing, goes along all of the anterior segment of the hard palate, not between the upper and lower teeth. The vector of the force is more upward than forward. Retraining the swallowing habit is very very hard to do. Sometimes a tongue crib can be used, for a period of months, to retrain the tongue from going too far forward. Having an upper fixed lingual retainer is good. You can also use a standard Hawley retainer on the upper to provide more pressure on the upper front teeth with the lingual wire in place. It is better than a clear thermoplastic retainer because the labial bow can apply pressure. I hope I was helpful. I have had braces now for nearly 2 years and finally in 2 months they are coming off! :) Ever since I can remember my front tooth (right) has like little chips and doesnt look like my front tooth (left) one and I was hoping to get them filled in or whatever after taking my braces off. Can I go private as I want good work done as I am only 17. I am willing to pay for the treatment! Do you think they could do something about this or do I have to live with it? I am very self conscious about it. Everyone else says they can’t see them but I can. You do not have to live with teeth that look jagged. If you are talking about tooth mamelons read this article “What are Tooth Mamelons?”. If I were you, I’d wait a couple of months after the braces are removed and then have something done about the little chips. The reason I would wait is to allow the teeth to settle. The teeth will move slightly after braces are removed. You want to make changes to the unsightly chips after that. In some cases, it is better to add a composite filling to smooth out the edges. The composite comes in different tooth colors so that it can blend into the tooth and no one will know it is there. The problem with a composite filling on the incisal edge is that they sometimes tend to come off easily. In other cases, the better solution is to take a small amount of enamel off to smooth the edges. Again, it does depend on how much would have to be removed to make the teeth look straight to use this approach. Ask your orthodontist what they think about how the chips can be smoothed out and who would be best to do the procedure. They may refer you to a family dentist to get it restored.